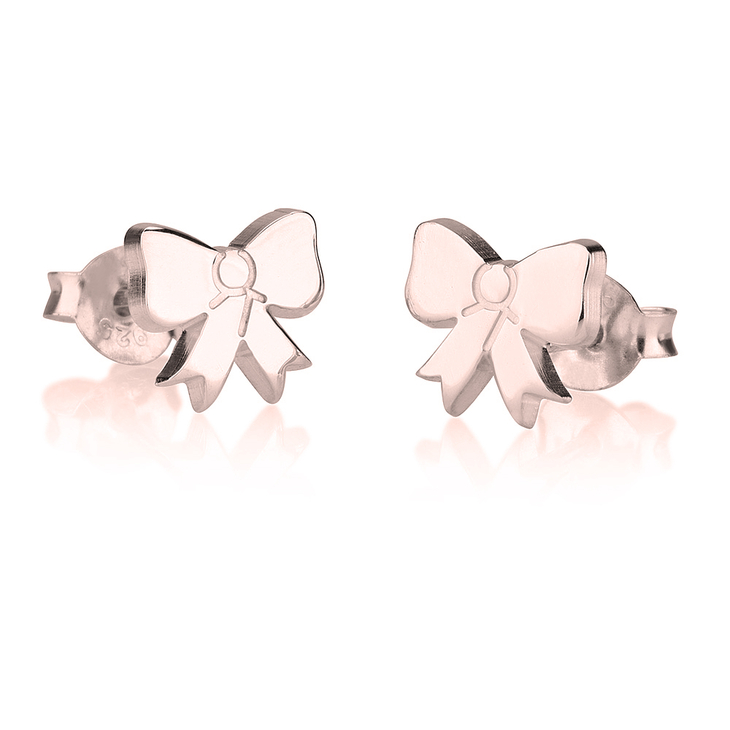 These silver bow earrings are the definition of elegance, with this classic bow design reminiscent of timeless old-world style. 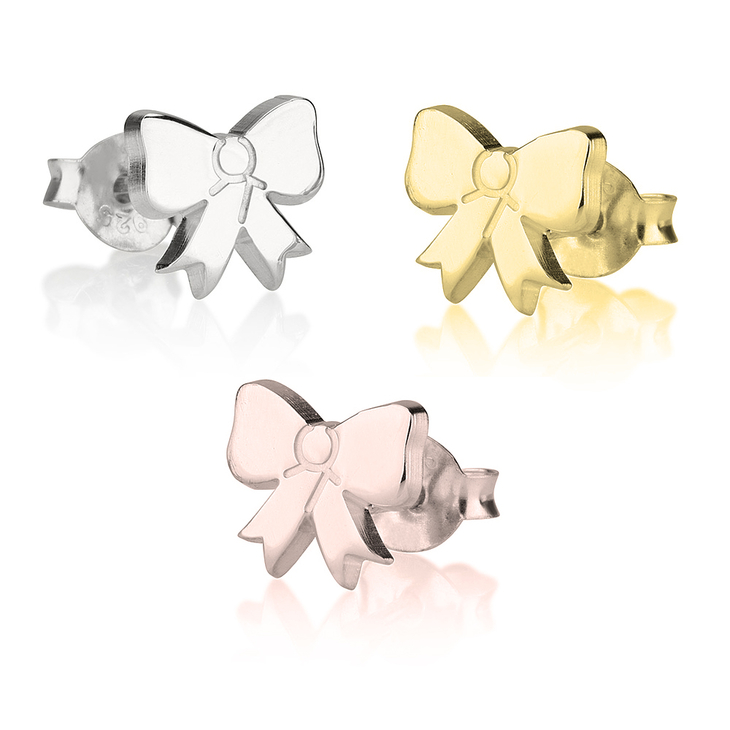 Perfect for someone with a girly and feminine style, these adorable studs combine quality and fashion, and are bound to make any outfit shine brighter. Crafted from sterling silver , you can also plate these in rose gold or 24K gold to best suit your personal style and feel truly yourself. Order now, and enjoy free shipping worldwide! Magnifiques boucles d'oreilles en or rose offerte pour un baptême. Fidèle à la photo représentée.